Have you ever wanted to cuddle with a pet when you’ve felt sad or when life feels too difficult for you? Well, now you can. An emotional support animal is a pet for people who suffer from a mental or emotional disability. They provide comfort, companionship, and relief in difficult times. An emotional support animal can change the life of someone living with a mental or emotional disability and has seen symptoms reduced for debilitating conditions. 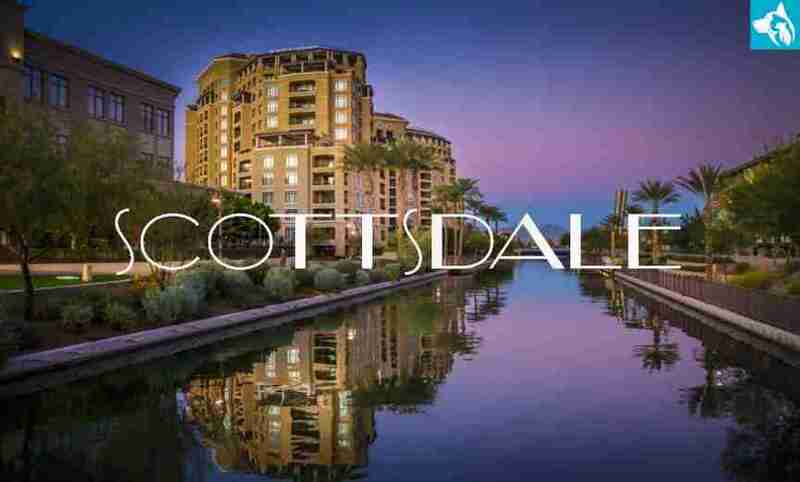 If you live in Scottsdale and have a mental or emotional disability or know of someone who does, then you have the opportunity to add a little love and security to their life. As with a service dog, an emotional support animal comes with a set of protection, travel, employment, and housing laws that the owner should know before committing to the animal. When taking on an emotional support animal for therapeutic treatment, there is a set of specific protection laws in place for both the person and the animal. When traveling, regarding air travel, an individual with a disability who is aided by an emotional support animal is allowed to fly through the Air Carrier Access Act. There is, however, a strict process to undergo that will allow an individual to fly with their emotional support animal. The individual must obtain a letter from their licensed mental health professional declaring the patients mental or emotional disability and the need for the emotional support animal. This documentation cannot be more than a year old and must contain the licensed mental health professional’s letterhead and type of care in which they practice. In addition, there are cases where the individual must give 48 hours’ notice to the carrier, so be sure to check with the airline before the flight. Though it has been a tradition in the past that the airlines require larger animals in the cargo bay and smaller animals confined to cages under the seat, emotional support animals can travel with their owner in the open. It should be also known that the ACAA protects emotional support animal owners from occurring a fee for their animal accompanying them aboard the flight. If all requirements are met, the airline cannot legally ask the individual questions regarding their disability and restrict them and their animals from boarding the plane. If the individual is renting, the landlord is legally required to allow the renter to have an emotional support animal. This means that the individual cannot be evicted or charged for requiring the aid of an emotional support animal. In some cases, the landlord may require documentation claiming that the individual requires the aid of an emotional support animal due to their mental or emotional disability. This can be obtained through their licensed mental health professional. As the emotional support animal is not trained like the service dog, no documentation needs to be provided to claim its certification. For more information regarding the housing laws of emotional support animals, do be sure to check out what Animal Law has to say. The emotional support animal poses a threat to employees in the workplace or creates an inappropriate working environment. The emotional support animal poses a threat to the health and safety of others on the property. However, the threat in question must be particularized to the emotional support animal. Obtain an official letter from a licensed mental health professional stating the mental or emotional disability that is affecting the individual. If the individual does not have a mental health professional, they can take Emotional Pet Support’s 10-minute assessment which will connect them with a licensed mental health professional. The 10-minute assessment will determine the individual’s eligibility for an emotional support animal and if successful, the licensed mental health professional will provide them with an authorized letter. Just like you would a pet, an emotional support animal can go with their individual to pet-friendly places throughout Scottsdale. Below is a list of the top 5 dog parks and dog runs, restaurants and bars, resorts, fitness, and spa’s, and events that you can take your emotional support animal to in Scottsdale. An emotional support animal is a therapeutic treatment full of love and security for an individual suffering from a mental or emotional disability. If you suffer from a mental or emotional disability or know of someone who does in Scottsdale, then perhaps an emotional support animal is the right prescription for you.